After I just posted that big list of Safeway deals I checkout out the Albertson's ad. 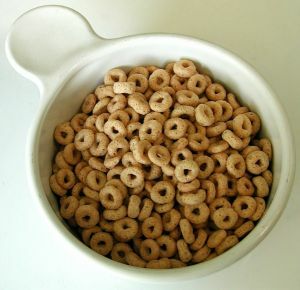 Albertson's has Cheerios on sale for $1.88 each this week. Their Tuesday ad includes 3 double manufacturer's coupons on the back page. If you printed any three of the $1.00/1 Cheerios coupons I linked to in the previous post, you could double them and get the Cheerios for FREE plus $.12 Overage each box. Hey there! I just wanted to tell you that you inspired me! We are on a new budget with the new year... and your posts encouraged me to cut some coupons and look at those ads. AND I just got back from Albertsons where I saved 40 bucks (and only spent $27!). Thanks! Yay Kate! Thanks so much for the kind words - they are certainly an encouragement. Keep it up! A few well-placed coupons can make a big impact on the bottom line.